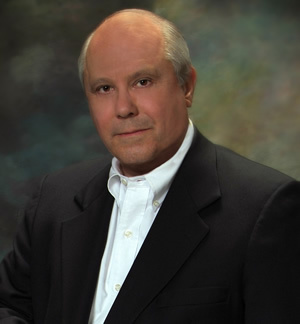 Gean B. Atkinson is president of Atkinson Advertising Associates, Inc. and one of the few members of his profession with extensive experience in the corporate, agency, military and political arenas. He was the National Communications Director for the country's tenth largest personnel company winning every major industry award for advertising and public relations. He also directed the advertising and marketing for one of retailing's fastest growing concepts, Glamour Shots high fashion photography, as that company grew from 134 stores to 320 in three countries in two years. He founded Atkinson Advertising Associates in 1975 and won awards throughout the country including the New York City Advertising Club Andy Awards, Oklahoma City Advertising Club Addy Awards, Ashland-Louisville Advertising Club Tobacco Pouch Awards, IABC Black and Gold Awards, IABC Silver Quill Awards, PRSA Bronze Derrick Awards, PIA Excellence Awards and the Philip Morris Public Relations Awards. He attended Wentworth Military Academy (Jr. College), Oklahoma University and the University of Central Oklahoma. He holds both bachelors and masters degrees in Journalism. He has taught courses in advertising, marketing and public relations at the graduate and undergraduate level and is a frequent guest lecturer. He has also taught classes and seminars both in civilian and military venues. He is a frequent speaker at conventions and seminars as well as a sought after guest on radio shows nationwide. He was named not only Outstanding Journalism Graduate Student but also Distinguished Former Student by the University of Central Oklahoma. He hosted his own radio show, “The Afternoon Express,” a current issue talk program on WKY Radio. During Operations Desert Shield and Storm he was recalled to active duty and was responsible for press operations in the United Arab Emirates as the Director of the Joint Information Bureau-Dubai. He also served as the Naval Liaison Officer for the Oklahoma Office of Emergency Management during the Alfred P. Murrah Building bombing. A former Marine officer, he was decorated for service in Viet Nam. Mr. Atkinson retired as a Captain in the Naval Reserve. He commanded numerous Naval Reserve units and served in Europe as part of the crises team for the Pakistani hijacking in 1985. He has advised governors and members of Congress of both parties. He was a Director of Communications for the Governor of Oklahoma. Of Cherokee descent, he served two terms as a member of the Oklahoma House of Representatives, continuing a family tradition of elected service that began in 1877. He is the author of a novel “Internal Invasion,” a fictional work on bioterrorism that was written a year before 9-11. He has made over 130 appearances nationwide in connection with the book. The novel has been optioned for a screenplay by award winning screenwriter Rick Walker. His latest work, “Bloodmoon at Cabin Creek” is a time travel novel scheduled for release in 2006. He is a Vice Chairman of the Oklahoma Capitol Preservation Commission and the Friends of the Capitol, Inc.; a past trustee of the University of Central Oklahoma Foundation. Additionally he serves as Secretary of the Cherokee National Historical Society as well as a director of the Committee of 100. He is the Vice President (President-Elect) of the Downtown Rotary Club and a past board member of the Oklahoma Symphony, Lyric Theater, Oklahoma City Advertising Club, 5th Congressional District Naval Academy Selection Board, Heartland Affiliate of the American Heart Association, Oklahoma City Council of the Navy League and the Oklahoma County chapter of the American Red Cross.